In a recent article in PC Magazine online there was a review of an OKI B412dn black and white laser printer. In the article it makes the comparison of the cost per page between this OKI printer, the Brother HL-5450DN and the Canon LBP6230dw. The claim is that the cost per page of the OKI B412dn is 1.9 cents (1.25p) against 4.1 cents (2.7p) for the Canon and 2.2 cents (1.45p) for the Brother. It is my opinion that these are very expensive printers to run and that is born out by the total cost of ownership of these printers after only 2 years of modest usage. They are inexpensive on the face of it but actually have a very high running cost. Of course, I am making the comparison between the purchase of one of these small printers against a more robust printer capable of a heavy workload. 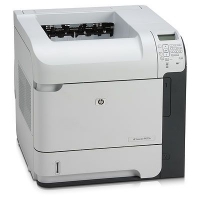 I refer to a refurbished HP LaserJet P4015 supplied by us at £210.00 which will have a cost of ownership after 2 years printing 1000 pages per month £110 lower than the the cheapest small printer. At the end of the two years, when the small machines will be coming to their life end the HP LaserJet P4015dn will still be ready for many more years of productive printing. You can see the trend in the above table that the more you spend on your printer the lower is the cost of ownership. So, in summary, why would you want to spend all that money on a printer when there is a cost effective alternative in the HP LaserJet P4015dn that comes with a 12 months warranty as well? We have other cost effective printers on our website at under refurbished printers for you to choose from.